I’ve been getting many questions about using a Virtual Private Network or VPN when watching video online. Today, I’m going to explain why I recommend NordVPN to remain anonymous when utilizing peer to peer torrent software like BitTorrent. Be forewarned that while torrenting is technically legal, downloading and distributing copyrighted material is not. This is similar to the rationale I explained in my article titled: Is It Illegal to JailBreak a FireStick. As I explained in my article why you should use a VPN, there are many considerations to account for when deciding on a VPN. Below are the major considerations when choosing a VPN to use for torrenting and how NordVPN meets those requirements. Many ISPs, DNS servers, and corporations have taken measures to disallow torrent connections on their networks. Before you can even think about the security and anonymity questions surrounding torrenting, you need the ability to make a peer to peer torrent connection. Not only does NordVPN allows P2P connections on their network but they have specific VPN servers all over the globe that are optimized for P2P torrent connections. To find the servers optimized for torrenting is simple. 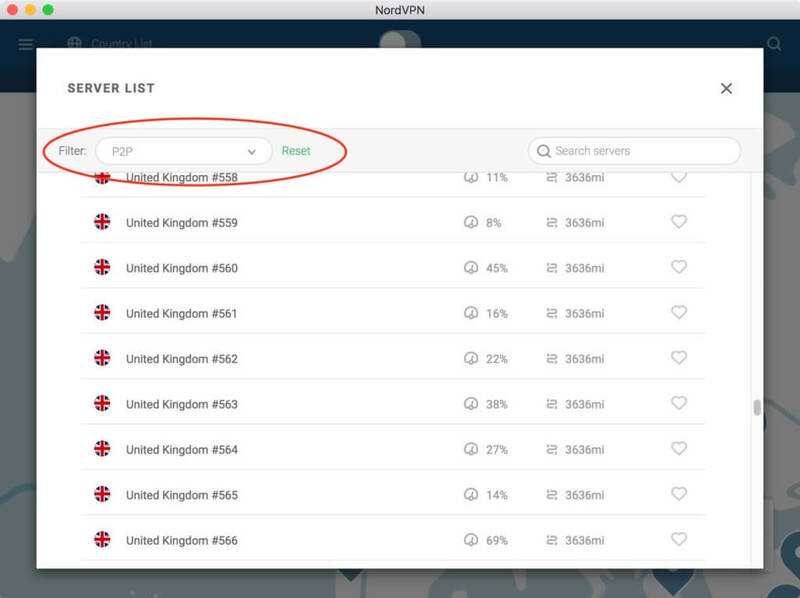 First, open up the available server list from your NordVPN client. Next, simply filter on P2P to get a listing of the best P2P VPN servers. Below shows UK server, but there are plenty available all over the world once you scroll down. It has one of the largest set of VPN services optimized for torrenting in the U.S.
A VPN using a technique called IP Tunneling to make your computer or device part of another network through the internet. In doing so, your true IP address is hidden and replaced with an IP address of the VPN you’ve joined. NordVPN not only accomplishes this but has a strict no logging policy. This means none of your internet traffic will be monitored or logged at any time. Not only is your true IP address hidden, but your data is encrypted and secure. Not even your ISP can see what you are doing. They will just see a bunch of indecipherable gibberish being transmitted back and forth. NordVPN uses security encryption protocols like IKEv2/IPsec and OpenVPN with AES-256-CBC encryption with a 2048-bit DH key. These are encryption AES (Advanced Encryption Standard) with 256 bit-keys protocols used by NSA and other high-level security specific U.S. government agencies. While all the benefits of a VPN can keep your identity hidden, people do make mistakes. Majority of the time a person’s anonymity is compromised because of the VPN not being turned on, or the VPN connection dropping while online. 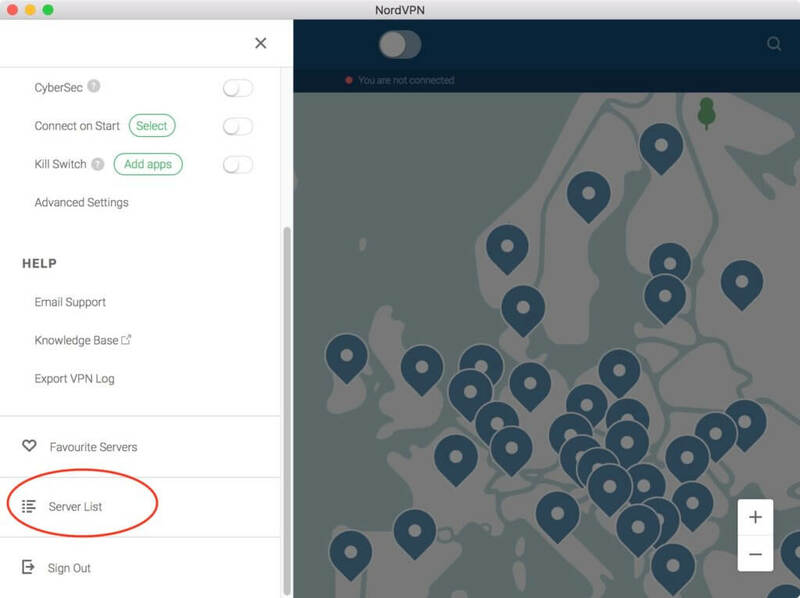 NordVPN offers two great options to avoid these issues. First, they allow you to configure NordVPN to start on boot. Next, they allow you to set a kill switch that closes applications (like your torrenting client) to shut down as soon as the VPN connection is lost. In addition, NordVPN also provides the ability to use a double VPN. This allows your first VPN connection to connect to another VPN server providing encryption and an IP address twice removed from your actual IP address. This adds the following additional benefits. Double VPN servers can be found by filtering on “double VPN” as I explained above in the section on finding P2P optimized VPN servers for torrenting. Offers CyberSec Feature which blocks pop-up and autoplay advertisements. Furthermore, CyberSec blocks dangerous websites and protects you from botnet attacks. NordVPN has 4189 servers in 62 different countries. This opens up online video streaming content from all over the globe. They offer a 30-day money-back guarantee which I tested by signing up for 2 accounts. They refunded my money immediately. Another reason I recommend NordVPN is ease of use. It’s simply a matter of signing up for the service, downloading the NordVPN to your device and turning on the VPN. While there isn’t a free trial, you can get the VPN as cheap as $2.75 per month using this special deal. Otherwise, you can check out their standard pricing here. Rember there is a 30-day money back guarantee. I have tested this myself and NordVPN quickly refunded my money upon asking. Once you sign up, you will receive an email on how to download your NordVPN client. After that, it’s simply a matter of starting the client, logging in, and clicking a button to turn on your VPN. NordVPN is supported on Android devices, Windows, MacOS, iOS, iPhone, and iPad. They also offer browser extensions for Chrome and FireFox.